Established in 1948, we at the ChiroCenter are singularly focused on helping our patients accomplish and maintain a state of wellness, balance and overall well-being. Our offices, doctors, and staff provide a warm, family-friendly, welcoming environment for every type of patient – whether you are new to chiropractic care or more experienced with the great benefits that chiropractic can bring to your life. 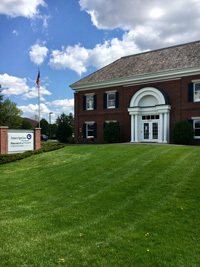 With multiple locations to conveniently serve you, we provide the highest-quality chiropractic services using leading edge techniques, best practices and outstanding customer service. Our entire staff is committed to working with you to give your family the best health care possible. Our services include injury care, wellness care, nutrition, massage, acupuncture, pediatrics and geriatrics. All of our doctors are board certified by the Minnesota Board of Chiropractic Examiners. We’ve received recognition of top In-Network chiropractic service from UnitedHealth Group, Medica, HealthPartners, Blue Cross Blue Shield of Minnesota, and Preferred One. We accept and are In-Network providers for most major insurance plans. The Robbinsdale ChiroCenter is located at 4926 42nd Ave. N., 2 blocks east of Highway 100 or 1 block west of downtown Robbinsdale. This clinic has been caring for generations of families in the Robbinsdale, Minneapolis, Crystal, and New Hope areas since 1948. Over the years, we have enjoyed caring for more than 30,000 of our local residents and members of the business community including employees at North Memorial Hospital, Hackenmueller Meats, Eagles Nest, Paeonia Floral, and Wuollet Bakery, just to name a few. Our ties to the community run deep. Robbinsdale MN Chiropractor, Dr. John Allenburg is a graduate of Benilde-St. Margaret’s and Dr. Guy Martin is a graduate of Robbinsdale Cooper High. Dr. Justin Elder, Dr. Matt Hendricks and Dr. Kyle Walsh round out the ChiroCenter doctors, serving the community since their graduation from Bloomington’s Northwestern Health Sciences University College of Chiropractic. These decades of combined chiropractic experience make Robbinsdale ChiroCenter the best choice for patients in the NW Metro. 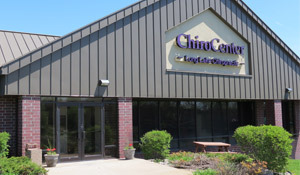 Long Lake ChiroCenter, located at 1865 W. Wayzata Blvd., Ste. 200, was established in May of 2011. It is the westernmost facility of ChiroCenter clinics, conveniently located in the Long Lake Town Center in the upper entrance behind True Value. Long Lake MN Chiropractor, Dr. Michael Schwartz has led the team in Long Lake since its inception. The opportunity in Long Lake was particularly appealing to Dr. Mike for many reasons. Along with helping families and individuals achieve wellness, Dr. Mike has a passion for working with student athletes. With both Mound-Westonka and Orono schools in close proximity to the clinic, Long Lake was an ideal place to build this practice. Together, Dr. Mike, his wife Sara (a coach and teacher in the Mound-Westonka School District), daughter Josephine and son Zachary enjoy an active lifestyle in the Long Lake area. Of particular interest to the Schwartz family are the exceptional recreational opportunities near Long Lake including Lake Minnetonka, the Luce Line Trail, and Baker National Park and Golf Course. 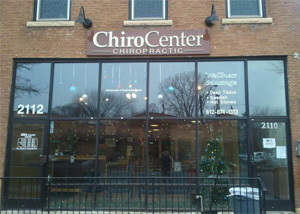 The Uptown ChiroCenter is located in the heart of Minneapolis in the Wedge neighborhood. With easy access from Uptown and Downtown, our clinic provides care to a diverse clientele. We’re well within walking distance from several Minneapolis neighborhoods and located just two blocks from the I-94/394 and Hennepin/Lyndale interchanges. In addition to our convenient and beautiful location, we take pride in doing things right, the Uptown way: with integrity, respect, and attention to detail. We consider it a great privilege to provide world-class natural health care to people from all walks of life. Please call Uptown ChiroCenter today to schedule an appointment for yourself or a loved one. Premiere Natural Health Care Providers – we’re innovators in what we do. Creativity and passion drive our staff. Do the right thing- We treat everyone the way that we’d like to be treated. We take the time to know our patients and respect their individual needs. Give back- Our mission is to spread good in the world through community integration. We seek out new ways to positively impact our place and time. Have Fun. We are serious about what we do, but we also know that laughter is the best medicine. Dr. Peter J. Polski heads the staff at Uptown. A believer that we should all do what we love, Dr. Polski joined ChiroCenter after years of practice which left him seeking greater impact on the lives of the people who trusted him with their care. Dr Polski is proficient at treating a wide range of health concerns, from common aches and pains, to more complex conditions like plantar fasciitis, headache disorders, ear and sinus issues, and much more. Dr. Polski is bilingual, speaking fluent Spanish. His passion for educating patients about their own wellness is reflected in his pursuit of fitness through training and yoga. The Uptown ChiroCenter is also home to the talented Dr. Libby Berg . As an avid athlete, Dr. Berg engenders a passion for wellness with a strong emphasis in sports chiropractic. She brings with her years of experience in treating people who have suffered physical injury and is excited to focus her expertise at lifelong wellness through innovative chiropractic techniques, rehabilitation and nutritional support. 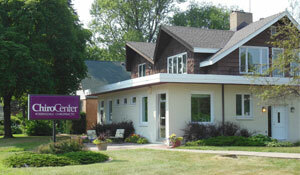 Eden Prairie ChiroCenter has been caring for patients for over 35 years. When indicated the doctors use manual chiropractic treatment and physical therapy to start the healing process and to correct the underlying cause of a patient’s issue, not just simply mask the symptoms with palliative treatment. As with all ChiroCenter locations, Eden Prairie ChiroCenter is a provider for most insurance plans, as well as a provider for patient’s who have been in an automobile accident or suffered an injury at work. Practicing at our Eden Prairie location is Dr. Riley Cullinane. Dr. Riley has a passion for helping families and individuals achieve their own optimal health with a balance of chiropractic care, nutrition and exercise counsel as well as healthy lifestyle changes. He is engaged in the Eden Prairie community and specifically enjoys volunteering with local athletes. 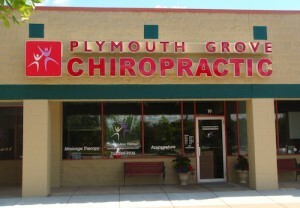 Plymouth Grove ChiroCenter is located at 3900 Vinewood Avenue N, a half a block east of 494 at the intersection of Rockford Road and Vinewood Avenue. Plymouth Grove is located in the Cottonwood Plaza next to the Rockford Road Animal hospital and south of the new business development which includes a Kohls department store and the Sunshine Factory Restaurant. The clinic is .5 mile from Clifton E. French Regional Park and southeast of Golf Galaxy, Hom Furniture and Super Target. When Dr. Allenburg and Dr. Elder were given the opportunity in April 2013 to take over the practice they were thrilled to continue to the excellent chiropractic care to the Plymouth, Wayzata and surrounding communities. Dr. John Allenburg comes from a chiropractic family: his father, two uncles, two sisters and three cousins are all chiropractors. Dr. John has been practicing chiropractic for over 20 years. He participates in many local chiropractic committees and is a proud alumnus of NWCC. He feels blessed to have had the tremendous opportunity to help his patients get out of pain by leading them to a healthier lifestyle through chiropractic care.